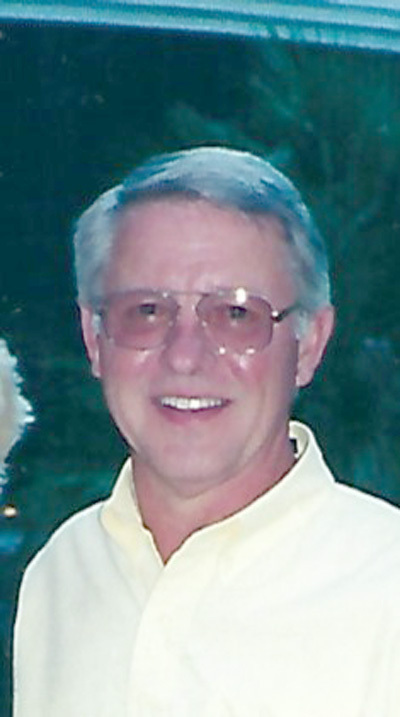 MAYVILLE — John “Roger” Tenglund, 75, of Mayville and formerly of Port Allegany, Pa., died Friday, April 12, 2019 at the Absolut Care Nursing Home in Westfield, N.Y. He was born Sept. 9, 1943 in Buffalo, N.Y., the son of the late Menfred and Maxine Holden Tenglund. Roger was a veteran of the United States Army and Army National Guard of Pennsylvania. He had received a business degree from Bryant and Stratton College of Business. Roger worked in the automotive parts industry. He was proud of his accomplishments at Johnson Controls. He had owned Overland Supply Co which included five NAPA Auto Parts stores in the Adirondack area, worked at Olson-Tenglund, Inc. and owned the NAPA store in Mayville, N.Y.. He had also worked at Parts America and Autozone. He was a member of the Masonic Liberty Lodge No. 505 in Port Allegany for more than 50 years, the Westfield American Legion Post 327, the Mayville VFW Post 8647 Auxiliary, and a member of St Paul’s Episcopal Church in Mayville. He was a past member of the Ingjald Lodge No. 65 Independent Order of Vikings. In Roger’s earlier years he enjoyed hunting, fishing, cross country skiing, snowmobiling and golf. In more recent years he enjoyed boating on Chautauqua Lake. His cooking and cleaning skills were legendary and he took great pride in his home and his Swedish heritage. Roger is survived by his loving longtime companion, Eileen Martin, whom he shared over 29 years of life with; his four children, Lisa (Joe) Garner of Westerville, Ohio; Amy Hartt of Phoenix, Ariz; John (Jenny) Moses of Wildwood, Mo., and Chad (Kristin) Moses of Tiverton, R.I.; six grandchildren, Kaitlynn and Tyler Garner, Ainsley and Beckham Moses, and Rylie and Bodhi Moses; and one sister, Nancy Tenglund of Port Allegany, Pa. He was preceded in death by his parents and maternal grandmother; Alzine Holden, who held a special place in his heart and his paternal grandparents, John and Hulda Tenglund. At Rogers request there will be no visitation or services observed. A private celebration of life will be held at the convenience of the family. Memorials can be made to The Mayville VFW Post 8647 Color Guard, 10 Memorial Drive, Mayville or the Mayville Rescue Squad, PO Box 2, Mayville, NY 14757.